Delight every guest at your doorstep this Easter with this Tulle Easter Wreath. 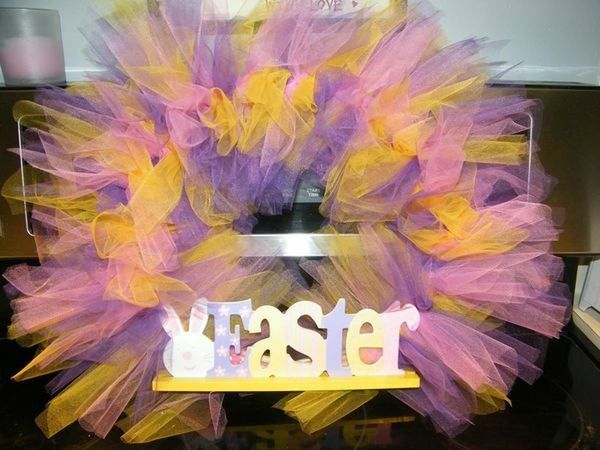 The wreath puts a summery spin on standard wreaths and is made out of colorful tulle in your choice of Easter colors. Complete the wreath with a sign that says “Easter” and display it on the door all-month long.